It might be bitter cold now, but in a matter of days, the Chicago area could see temperatures up to 70 degrees warmer. 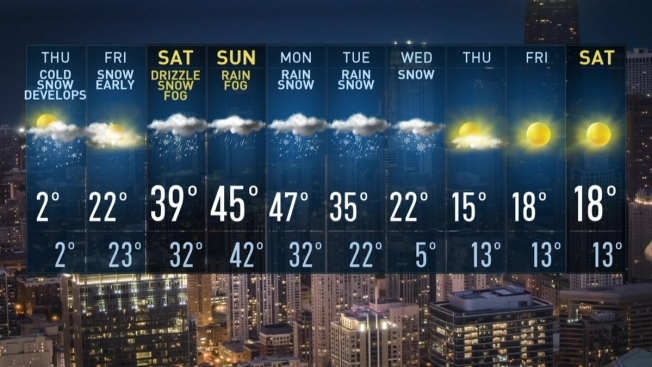 If you’re in Chicago right now, you know it’s cold as hell. But did you know it’s literally colder than Hell? It was -8 degrees in the neighboring state Wednesday. 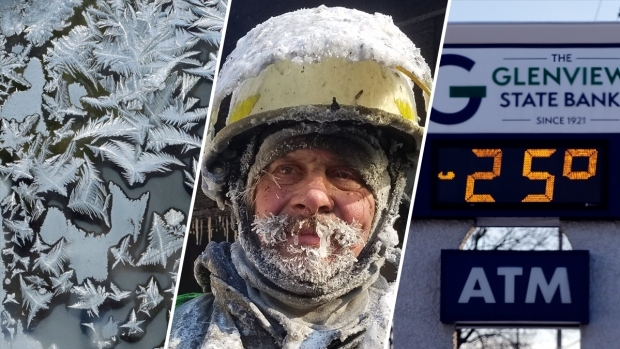 The town of Hell, often the subject of meteorological and winter jokes—might have frozen over, but it was still warmer due than the Windy City due to Lake Michigan, our meteorologists report. As the city is blanketed by a bout of historic cold, temperature highs aren’t expected to rise above -15 degrees. Lows could reach to near -26 Wednesday, nearing the coldest temperature ever seen in the city. As temps dip to near historic levels, with lows Wednesday night and into Thursday morning dropping to -27 or lower, it appears there is some relief in sight. By Friday, temperatures will rise into the upper teens and low-20s, but that’s just the beginning of the warmer weather ahead. Saturday is expected mark a roughly 60-degree difference in temperatures, as highs rise to the mid- to upper-30s. And by Sunday, rain is possible with highs in the low to mid-40s.